Note: All meetings are scheduled to take place in room EDU-233. To submit a question, download the Faculty Council Question Form. To submit a motion, download the Faculty Council Motion Form. 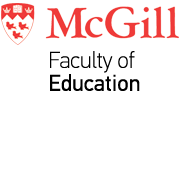 Please donna.wilkinson [at] mcgill.ca (email) your completed form in .doc format. Note: All meetings until the end of the Winter 2019 semester are scheduled to take place from 9:30 am - 11:30 am in room EDUC-233, with the exception of Thursday, February 14, which will take place from 1:30 pm - 3:30 pm. This advisory committee to the Dean is composed of one representative from each academic department (nominated by the Chair), one representative from each students society (EdUS and EGSS), and one representative from the Internships and Student Affairs office (nominated by the Director of ISA). Committee members are encouraged to bring forward issues that affect their peers and for seeking actions that may be implemented in the Faculty of Education.